Now that you've tested your new proxy, you're almost ready to add a policy to it. Before you do that, though, you should change your proxy's target endpoint to one that returns some data. Recall that in Step 2: Create an API proxy, you set the target endpoint (in the Existing API field) to "https://mocktarget.apigee.net". Well, that endpoint doesn't return any data, so now you'll change the endpoint to one that returns some XML. Log in to the Edge Management UI and click API Proxies. Select your getstarted proxy from the list. If you don't see your proxy in the list, be sure that you selected the right organization, as described in A word about organizations. The target endpoint is defined by the <HTTPTargetConnection> element. The new URL returns a small block of XML in the body of the response. 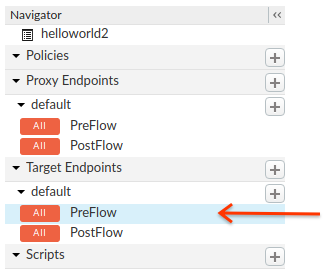 To save your changes to the proxy configuration, click the Save button. Edge saves your changes and automatically deploys them. Fix your proxy configuration. Edge may provide syntax guidance as a pop-up. Manually deploy your changes to the test environment by clicking Deployment > test if Edge does not automatically deploy it. Use an XML prettifier such as xmllint to make your output look better in a terminal. You've successfully changed the target endpoint of your API proxy. The new endpoint will return XML. Now you're ready to add a policy that converts XML to JSON.